A scene which is now part of history. 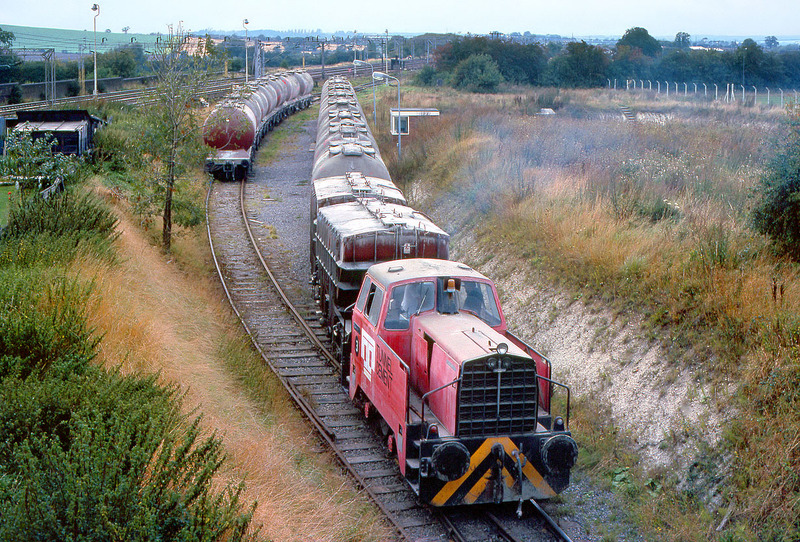 On 8 September 1982 Tunnel Cement Sentinel 0-4-0 No.3 shunts cement tanks in the exchange sidings next to the West Coast Mainline at the Pitstone Cement Works, near Tring. This large cement works which dominated the area since the 1930s finally closed in 1991, and all trace of it has now been obliterated, with a large industrial complex built on the site. The tracks seen here have also been lifted and the only point of reference today is the WCML visible in the background.